Percentage Solver app: insight & download. 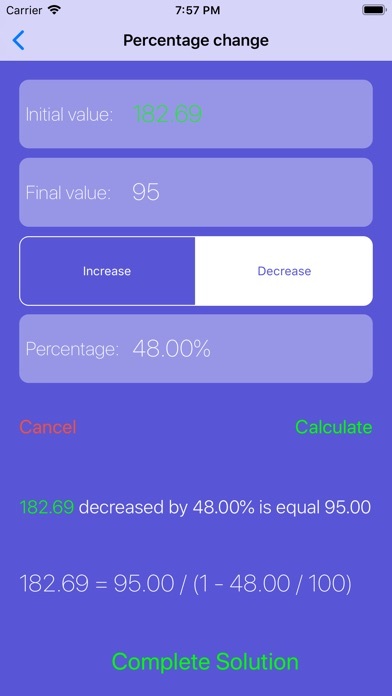 Percentage calculator, very easy to use. 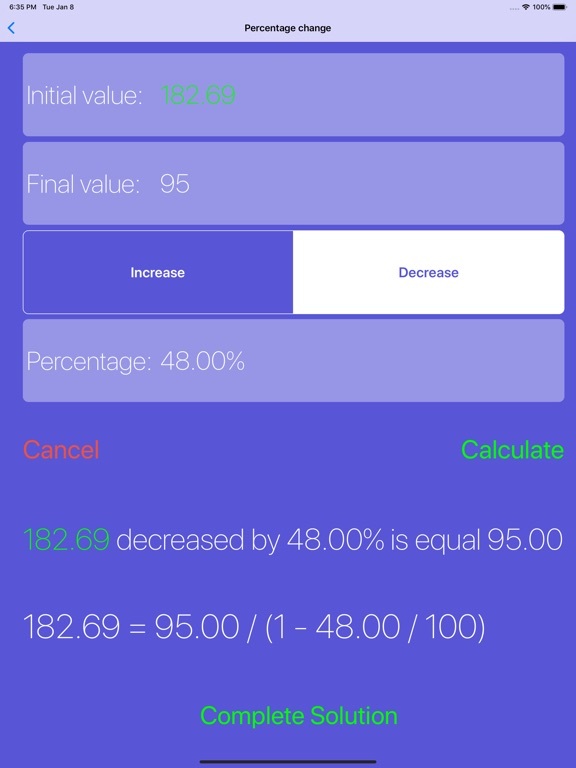 THE APP CAN SOLVE EVERY PROBLEM ABOUT PERCENTAGES. THE APP ALSO SHOWS THE COMPLETE CALCULATION MADE TO FIND THE SOLUTION!!! IN THE SCREENSHOTS ABOVE THE DATA IN GREEN ARE CALCULATED BASING ON THE USER INPUT (IN WHITE). Just input two values, the third will be automatically calculated. The perfect tool for students who need to learn percentages. It's also possible to share the complete solution. 18 September 2018 : Free! 21 August 2017 : Free! 13 October 2016 : Free! 23 May 2016 : Free! 2 May 2016 : Free! 16 April 2016 : Free! 4 March 2016 : Free! 23 February 2016 : Free! 31 January 2016 : Free!